Fridley High School (FHS) students took full advantage of the opportunity to learn more about STEM (science, technology, engineering, mathematics) careers at the Minnesota State University - Mankato (MSU) Latino Engineering Academic Day. Over 20 FHS students attended the day-long conference on November 2, 2018. 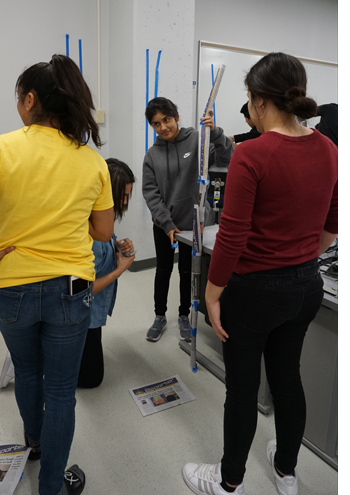 The main mission of Latino Engineering Academic Day is to encourage and motivate Latino high school students to pursue their STEM interests in higher education and careers. 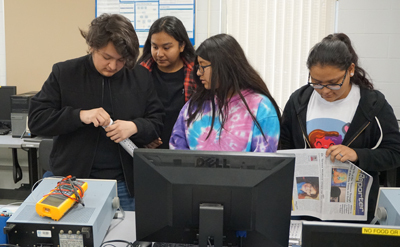 The conference connected Fridley students with Latino professionals in various engineering fields, as well as current MSU engineering students and faculty. Additionally, students had the opportunity to learn more about the steps to take to prepare for college through academic sessions. 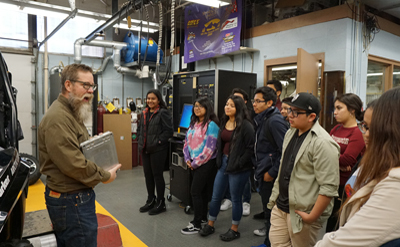 Students toured the MSU campus and learned about the various engineering programs that the institution offers. The conference also provided students with multiple hands-on demonstrations and interactive activities. Fridley students took part in a building competition. They broke into teams and constructed newspaper and tape towers to see whose could reach the maximum height without toppling. Freddie Rocha Cabezas, a freshman, is already considering both college and training programs for after graduation. “I wanted to experience a little bit of the engineering program to see if that’s something I want to do,” he said. Perhaps the most meaningful moment for students, however, took place in the ballroom of the Student Union, where they heard from guest speakers who have had similar experiences as theirs. “My mom kept pushing and pushing her, and now she’s working on it. She’s building a career and she’s happy,” said Medina. The group agreed that at FHS, they are always supported in achieving their goals. They also all receive encouragement from parents and older siblings. Emily Latzka, FHS Spanish teacher and advisor of the Spanish Club, is a strong advocate for her students and led them on the trip. She, too, was inspired by what she heard from speaker Gisell Gonzalez. “She wore her heart on her sleeve; so open and honest about her path and feelings,” said Latzka. “She talked about the boundaries of college, her personal story and resources she found along the way to help her succeed. 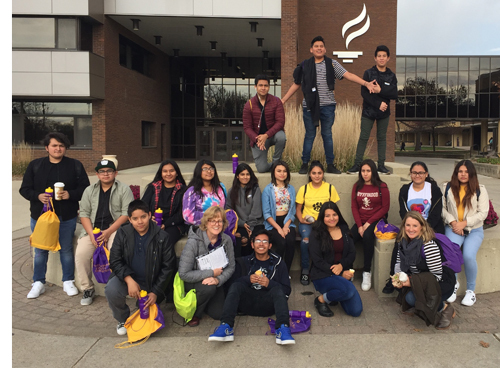 The field trip to MSU for Latino Engineering Day was sponsored by Minnesota State University-Mankato and the Northwest Suburban Integration School District (NWSISD), of which Fridley Public Schools is a member school district.